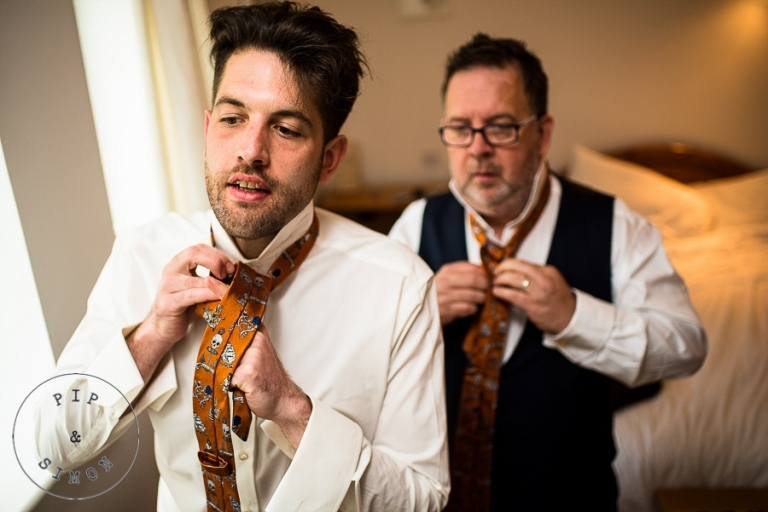 We’ve said it before, and this wedding made us want to shout it from the rooftops – we love being wedding photographers in Devon, even more so when it’s a Tunnels wedding! When you have an incredibly dramatic bit of coastline and a couple who are up for anything, things get fun. And wet. Very wet and salty. 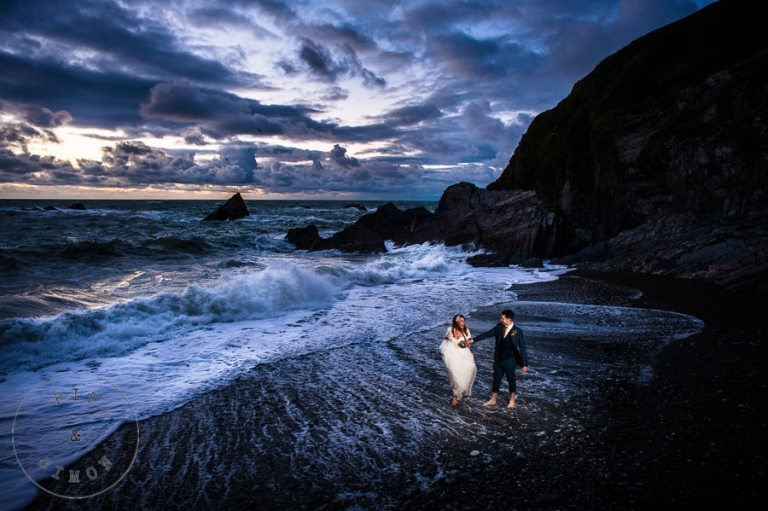 From the very start it was clear that Charlie and Pete’s outdoor ceremony at the beautiful Tunnels Beaches in Ilfracombe was going to be one of the most laid back and fun wedding days, ever. The round of Dark and Stormy cocktails during the groom prep might have had something to do with that – how did they know that was my favourite?! It’s OK, I didn’t drink all of it. The ceremony itself was incredible. As Charlie walked down the aisle, everybody held their breath, including me. What a stunner! Instead of readings, they chose to have their amazingly talented friends sing, as the waves crashed in the background, sending us all to a really emotional place. Again. 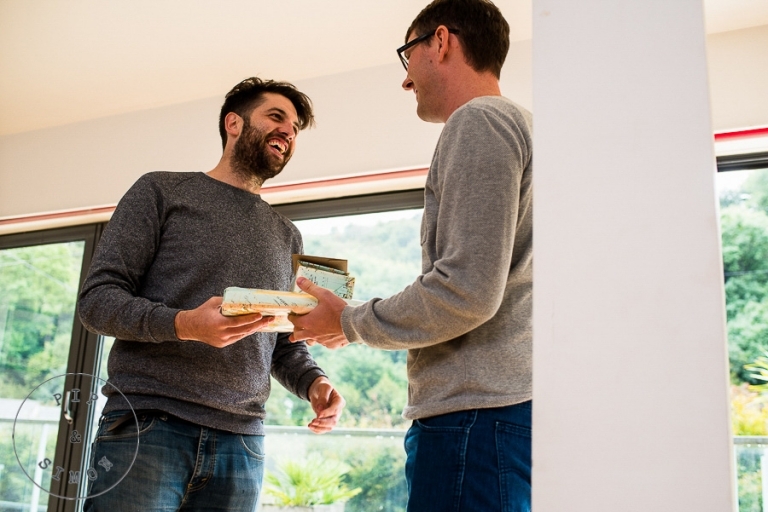 We laughed and cried our way through the speeches before heading down to the beach for a sunset stroll with the new Mr and Mrs, which turned out to be our favourite bit of the day…quite possibly, ever! Charlie just ran into the sea, dress and all! Simon and I remembered to pick our grinning jaws off the floor in time to capture the fun and shoot some of our favourite portraits before it got too dark to find our way back to the Tunnels wedding party. With frozen fingers and toes, and enormous smiles, we all dried off just in time to get involved on the dancefloor. The dress though…well, that’s probably still wet now.